Does sustainable living look like this? I do occasionally stumble upon good news, and when I do, I always want to share it. Today, I want to point you at a village that is entirely self-sufficient, green, off-grid, and utopian. 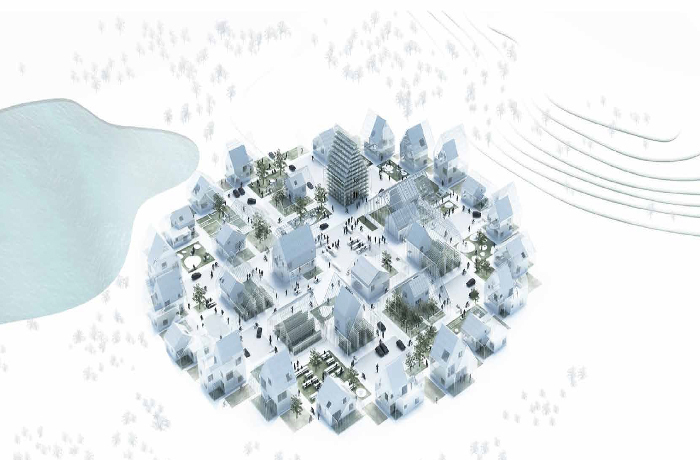 The concept is quite simple, the builders of RegenVillages took all the existing sustainable, green and clean technologies that we have and put them to use all at once. It’s the combination of all of them that makes the villages self-sufficient. Their tag line says it all:Tech-Integrated and Regenerative Residential Real Estate Development. It’s true: we have all the know-how to create entirely new, unpolluting and self-sustaining villages; we’ve just never put them to use in a consistent, cradle to grave, manner. And wouldn’t it make us all feel good to grow our own veggies hydroponically and to recycle all our waste into clean energy. Sounds excellent. So, they know how to market themselves and create catchy, informative materials. The project was announced at the 2016 Venice Biennale, and is the brainchild of what appears to be a holding company. Okay, that sounds a bit creepy, but bear with me. 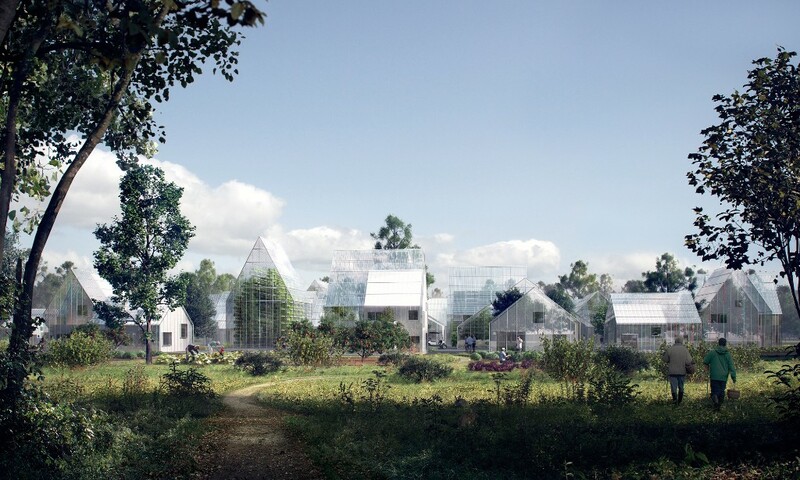 Further searches online and on their website http://www.ReGenVillages.com reveal an ambitious, well-funded global corporation based in the US but building its pilot regen-village in the Netherlands, in Almere. They are going to build a whole bunch more, all over Europe. Apparently, the demand is great, and you can sign up for future villages online. the concept has been presented at the White House and already has garnered an award from something called The Singularity Institute. Is it all too good to be true? I haven’t decided yet, but will let you know what I can unearth on this very glamorous and well-designed concept village. Among the questions that pop up: Is it just for the one percenters? How expensive is living in total, regenerative harmony? Will it actually address what their website claims to address: the ever increasing pressure that 7 billion humans, expected to balloon to 10 million by mid-century, exert on our battered planet? And finally, should something as game changing as this be left to a holding company? ← Don’t like change? Move off this planet.